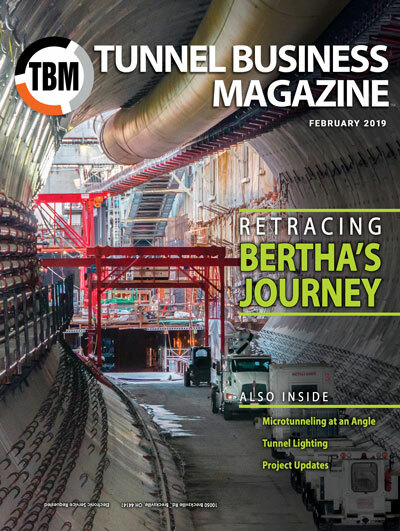 Three times per year, TBM: Tunnel Business Magazine recaps the status of major tunneling projects underway in the United States and Canada. 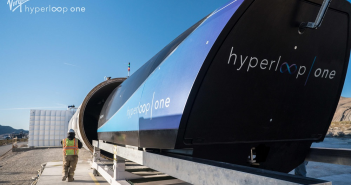 Below is the Tunnel Update that appeared in the October 2018 issue of the print edition. The Regional Connector Project is in the heart of downtown Los Angeles in a congested urban environment that provides numerous challenges and requires coordination with multiple third parties. The Regional Connector Project will connect three operating rails systems, the Metro Blue and Expo Lines on the West and the Gold Line on the East. When complete, transit riders will no longer need multiple transfers and can travel north-south and east-west on the same system. The tunneling portion of the $1.75 billion Regional Connector Transit Project for the Los Angeles County Metropolitan Transportation Authority involves 5,795 ft of twin tunnels with an excavated diameter of 21 ft. NTP was issued July 7, 2014 with a forecast completion date of December 2021. The ground conditions range from alluvium soils to clayey siltstone of the Fernando formation, with the potential for methane, hydrogen sulfide gas, and boulders. The groundwater table is generally above the tunnel alignment. Pressure balance tunneling utilizing an EPB TBM was required, along with precast concrete segments with double gaskets as the tunnel lining system. The tunnel depth (cover) ranges from 25 ft to approximately 120 ft and crosses below the existing Metro Red Line heavy rail tunnels with less than 7 ft of clearance. The Regional Connector includes approximately 2,100 ft of cut-and-cover and retained-cut guideway, a 300 ft crossover cavern excavated by Sequential Excavation Method (SEM) techniques, and three cut-and-cover subway stations. The bored tunnels were excavated by one TBM concurrently with the construction of the three stations, requiring coordination between the cut-and-cover operations and TBM tunnel excavation. The bored tunnels were completed in January 2018, and the TBM has been demobilized. The three cross passages have been excavated and the concrete lining installed. Invert concrete and walkways are underway. The Little Tokyo/Arts District Station excavation and bracing as well as invert concrete are ongoing. The excavation and bracing for the 90-ft deep Historic Broadway Station is complete and HDPE gas/water proofing as well as invert concrete are underway. The mining and initial shotcrete liner for the SEM cavern started on May 30, 2018. The cavern is being constructed utilizing three staggered drifts. The final dimensions will be 300’ long x 58’ wide x 36’ high. The cavern is on the east side of the of the Broadway Station and will be used as a cross-over to facilitate Metro operations. The excavation and bracing for the Grand Av Arts/Bunker Hill Station is complete and HDPE gas/water proofing as well as invert and wall concrete is underway. The Flower Street cut and cover tunnel progress continues. Street decking is complete while excavation and bracing are about 70% complete, moving north to south. In the northern area HDPE gas/water proofing has started. The Flower Street tunnel will tie into the existing 7th Street/Metro Center Station. Structural concrete on the Gold Line “Y” connection at 1st Street and Almeida will begin in early 2019. The Regional Connector is a Design/Build Project. The final design is approximately 99% complete, and the construction is approximately 51% complete, as of September 2018. Key Project Personnel – Metro Project Executives: Gary Baker, Project Manager; Michael Harrington, Engineering Manager; Mat Antonelli, Construction Manager; Metro Design Consultants: (AECOM/WSP), Bill Hansmire, Tunnel Design Manger; Metro Construction Manger Consultants: (Arcadis), Dominic Cerulli, Sr Project Manager/Broadway Station & SEM Cavern Resident Engineer; Contractor Project Executives (Regional Connector Contractors RCC): (Skanska) Mike Aparicio, Mike Smithson; (Traylor) John McDonald, Richard McLane, Christophe Bragard. The Westside Purple Line Extension Project is a 9-mile long project that consists of three sections that are being planned to be built and opened for revenue service before the end of the next decade. Section 1 is a 3.92-mile long subway alignment with three stations that is being constructed under Wilshire Boulevard in gassy ground and tar sands with prehistoric fossil deposits utilizing the design-build delivery method. NTP for the $1.636 million design-build contract was issued on Jan. 12, 2015. Tunneling operations are planned to begin in October 2018. The tunneling operations will be staged through the shoring box of the Wilshire/La Brea Station excavation. The Revenue Service Date per the Full Funding Grant Agreement is Oct. 31, 2024. The scope of work includes 17,900 ft of twin-bore tunnel: Reach 1 is 9,600 lf between Wilshire/La Brea Station and Wilshire/Western TBM retrieval shaft; Reach 2 is 4,400 lf between Wilshire/La Brea and Wilshire/Fairfax Stations; and Reach 3 is 3,300 lf between Wilshire/ Fairfax and Wilshire/La Cienega Stations. There is also 600 lf of tail track to the west of Wilshire/ La Cienega Station where the TBMs will be buried. The tunnel is 18-ft, 10-in. inside diameter with 12-in. thick precast concrete lining. Depth varies from 40 ft and 100 ft. The alignment includes three stations and the western retrieval shaft and 23 cross passages. Tunnels are planned to be mined by two Herrenknecht EPBMs. Cross-passages are planned to be mined by the sequential excavation method using variety of localized ground support systems. Anticipated ground conditions include: Soft ground consisting of Pleistocene-age (San-Pedro) and Pliocene-age (Fernando) formations; Some alluvium deposits and artificial fill areas above the tunnel; Tar sands comprise almost 25% of tunnel alignment; Expected water table up to 90 lf above tunnel crown; Presence of methane (CH4) and hydrogen sulfide (H2S) gases (tunnels are deemed “gassy” by OSHA). The project is 35% complete. Production of tunnel precast concrete liners began completed in August 2018. TBM manufacturer Herrenknecht has completed the EPBM design and has delivered the TBMs.. Jet grouting of cross-passages is complete. TBM assembly started in July 2018, and expected launch is October 2018. TBM tunneling is expected to progress through July 2020. Tunnel Designer: PTG/CH2M (for STS JV); Construction Manager: WEST JV (Stantec/Jacobs Engineering/AECOM); Major Subcontractors – TBM Manufacturer: Herrenknecht; Precast: Traylor precast; Support of Excavation/piles: Condon Johnson; Jet Grouting: Malcolm Drilling; Geotechnical instrumentation: Group Delta; Gas Geotech: Golder; Dewatering: Moretrench; Standpipe: Link Nielsen. Key Project Personnel: James Cohen, Executive Officer, Program Management LACMTA; Ashok Kothari, Project Director, WSP; (Skanska) Mike Aparicio, Mike Smithson; (Traylor) John McDonald, Richard McLane; (Shea) Jim Marquart, Jim Honeycutt. Merco Inc. received NTP in January 2018 and completed this project for the South Central Connecticut Regional Water Authority in April 2018. The project involved the rehabilitation of an existing 6-ft by 3,000-lf concrete lined raw water tunnel and downstream 48-in. cast iron pipeline. The tunnel was dewatered and tunnel access was accomplished through the existing 48-in. pipeline. Upon completion of temporary utility installation, the tunnel was cleaned and scaled. Selective demolition was performed on defective areas of the tunnel. Ground support included rock bolts and shotcrete. Minor defects were repaired with pre-packaged repair mortar, and major liner defects were repaired with shotcrete. Extensive liner probing and grout hole drilling was performed and the entire tunnel was pressure grouted to fill voids and strengthen the existing liner. A chemical grouting program was performed to reduce water seepage from the liner. The existing 48-in. pipeline was sliplined with Hobas pipe. Fully automated waste water control system was used for the tunnel cleaning and tunnel grouting operations. Due to the restricted access to the tunnel, the grouting operations were located on the surface and discharged through a continuous grouting system for the full length of tunnel. Total grouting distance including return line was over 6,000 lf. Project Personnel: Regional Water Authority – Rose Gavrilovic, P.E. ; Larry Marcik, P.E. ; McMillian Jacobs – Joe Schrank, P.E., Brian Lakin, P.E. ; Northeast Remsco – Richard Palmer, P.E. ; Merco – Eric Seib, Project Manager; Patrick McAlinden, Project Superintendent; Chad Miller, Assistant Superintendent. This is a combined sewer overflow (CSO) tunnel 26,737 ft long with a 23-ft finished diameter (26-ft, 3-in. excavated diameter). The tunnel is being driven using an EPB TBM in heavy clay and water bearing clayey sands at water pressures up to 3 bar. The $579.9 million project for DC Water includes construction of seven slurry wall shafts up to 130 ft deep in a dense urban environment. Ground freezing was used at two shafts to connect shaft to tunnel. Jet grouting was used at other shafts to connect shaft to tunnel. Extensive instrumentation is being used to track performance of the TBM with regards to settlement. The TBM launched on Aug. 17 from the CSO-019N shaft. Crews have started shaft slurry wall construction at two shafts and are starting to mobilize for the third shaft. Construction of East Side 48-in. Force Main diversion is underway to allow extraction of steel piles that penetrate to tunnel horizon. The Northeast Boundary Tunnel is part of a $2.7 billion program by DC Water to mitigate CSO discharges into the Anacostia and Potomac Rivers and bring flood relief to northeastern Washington, D.C. The tunnel is a challenging alignment with 15 curves, shaft entry and exit, and only one shaft online in 26,737 ft to check alignment. TBM muck removal is being done by conveyor belt in the tunnel and by a 17 cubic yard clamshell at the shaft. The tunnel and all associated structures have a 100-year design life. The work environment for the shaft construction along Rhode Island Avenue is challenging with small shaft sites combined with urban residential neighborhoods and a high traffic corridor. DC Water and SIH are making extensive community outreach efforts. The tunnel and all shaft support are designed by SIH while the remaining permanent structures are designed by DC Water. Parties Affiliated with the Project: Designer: Brierley Associates; TBM Supplier: Herrenknecht; Slurry Walls, Jet Grout, Secant Piles, Solider Piles: Treviicos; Segmental Tunnel Liner Supplier: ConSeg JV; Muck Hauling: Bulldog Construction; Instrumentation: Entech; Traffic Engineering and Instrumentation Installation: EBA; Construction Manager: EPC Consultants; DC Clean Rivers Program Manager: McMillan Jacobs and Greeley & Hansen. Project Personnel: Project Manager: Shane Yanagisawa; Deputy Project Manager: Daniele Nebbia; Construction Manager: Flaviano Solesin; Safety Manager: Gerry Stiles; QC/QA Manager: Rick Munzer; Engineering Manager: Pietro Banov; Business Manager: Stefano Cadoni; Plant & Equipment Manager: Alessandro Feliziani; Design Manager: Pietro Banov; Brierley Associates Design Manager: Jeremiah Jezerski; Resident Engineer: Scott Shylanski. Information: John Kennedy, Sr. V.P., 702-524-0438 . The tunnel has two live connections, one on each end. On one end it will connect to the terminus of MWRD’s existing Des Plaines Tunnel system and on the other it will connect to the live McCook Reservoir, which was placed in service in December 2017. MWRD cannot shut down either the tunnel or the reservoir to accommodate the connections so all work will be heavily weather dependent. Mining commenced in September 2016 from a 35-ft diameter shaft that was previously constructed as the retrieval shaft for the Deep Rock Tunnel Connector alignment. After successfully mining the Lower Pogues Run tunnel, the TBM was backed up and successfully relaunched within the White River Tunnel. As of September 2018, mining of the White River Tunnel alignment has extended a total of approximately 18,600 ft. Mining is complete in the 9,850-ft WR-06A spur, and the TBM is currently being backed down the spur and will be relaunched up the main White River alignment in October. Based on the terms of a federal consent decree, the White River and Lower Pogues Run tunnels must be operational by the end of 2021. Key Project Personnel – Construction PM: Christian Heinz, P.E. ; Assistant Project Manager/ Project Engineer: Percy Townsend; Safety Manager: Kyle Shickles; Equipment Superintendent: Keith Walter; Field Engineers: Eric Haacke, Zack Heinrich, Kendall Gadd, Chris Monahan, Max Engen. Inspection PM: Sam Cain, P.E. (AECOM). Owner: Citizens Energy Group – Manager of Construction: Mike Miller, P.E. ; Supervisor Special Projects: Tim Shutters; Construction Supervisor: John Morgan. Following the collapse of a major thoroughfare just outside of Gaithersburg, Turn-Key Tunneling has been contracted to install a new 84-in. host liner. The new steel liner will be installed using traditional hand-tunneling techniques and will provide the needed support for the final 60-in. carrier pipe. Mixed-faced conditions have been encountered, which have been mitigated and has had minimal impact on the schedule. The project is slated to be complete in October. The Purple Line is a 16.2-mile light rail transit line extending from Bethesda in Montgomery County to New Carrollton in Prince George’s County. It is being delivered via a $5.6 billion P3 contract that includes a $2.1 billion design-build construction contract. The line connects major activity centers located inside the heavily congested Capital Beltway, and will provide direct connections to four branches of the WMATA Metrorail system (both branches of the Red Line at Bethesda and Silver Spring, the Green Line at College Park, and the Orange Line at New Carrollton), as well as all three MARC commuter rail lines (linking Washington, Baltimore, and Frederick, Maryland) and Amtrak’s Northeast Corridor. NTP was received on June 17, 2016. The revenue Service Availability (RSA) date is March 11, 2022. The scope of work includes a twin-track light rail system operating mainly at grade in dedicated or exclusive lanes and 21 stations. The route includes 0.7 miles of elevated guideway and 1,020 lf of tunnel excavated by SEM. There is also a shaft and cavern to be constructed in bedrock in Bethesda that will serve as interface between the future Purple Line and the existing underground WMATA station. About 45% of top heading excavation is complete for the SEM Tunnel. Excavation of the bench is anticipated to begin in January next year. The ground conditions at tunnel horizon encompass mixed face conditions varying from slightly weathered metamorphic rock to completely decomposed rock known as saprolite. Most of the tunnel runs below the groundwater table. Design-Build Contractor: Purple Line Transit Constructors (PLTC), an LLC comprised of Fluor, Lane, and Traylor Bros. Tunnel Designer: Mott MacDonald. Project Personnel – MTA Project Director: William Parks; Concessionaire’s Project Manager: Fred Craig; PLTC: Project Manager Scott Risley; Construction Manager: Ken Prince; Underground Construction Manager: Jean-Marc Wehrli. The work for this $26.991 million project generally consists of the construction of 90-in. diameter concrete precast segment lined 6,648-ft long tunnel, 37-ft diameter baffle drop shaft, 48 ft of near surface reinforced concrete box culvert, 2-ft diameter vent shaft, 181 ft of 90-in. diameter open-cut steel pipe installation, 125 ft of 90-in. jacked steel pipe, an energy dissipation structure, site restoration, and performance of other associated works. As of late September, the TBM was 75% launched, with crews lowering the gantries and trailing gear into the shaft. Roughly 30 segment rings have been installed, which is equivalent to approximately 120 lf. Production mining will commence once the TBM is completely launched. 95% of all the segments have been delivered to the project site from CSI. The work is completed at the energy dissipation structure which was critical to Milestone 1 on the project. This work was completed two months ahead of schedule. The drop shaft excavation (receiving shaft) is nearly completed with only 20 vf of excavation remaining. This is a 44-ft ID secant shaft with a depth of 60 ft. The EPB TBM is the first machine provided by Lovsuns in the United States. The tunnel segments are being manufactured utilizing synthetic fibers. This is the time segments have been constructed in this manner in the United States. The owner is The City of St. Joseph, Department of Public Works. Black & Veatch is the engineer. Project Personnel: Mike Garbeth, Senior Project Manager; Gregg Rehak, Vice President. In May 2015, Barnard entered into a $440 million Construction Manager at Risk (CMAR) contract for the L3PS Project. To date, crews have completed the 500-ft excavation and concrete lining of the Access Shaft, the 60-ft Connector Tunnel and Riser Shaft (winze shaft) and all 34-each 500-ft-deep x 6-ft-diameter well casings, and excavation and lining of the Forebay Cavern tunnel and are nearly complete with the structural concrete for the Access Shaft Bulkhead Structure. Concurrent with the underground construction, the Above-ground Pumping Station work continues with the 108 to 144-in. Discharge piping installation, concrete valve vaults, pumping station base slab construction, and Electrical/Maintenance Building construction. The project has also received and stored the 16 of 32-each, 3,150+HP submersible pumps capable of pumping 30 MGD. All work is scheduled to be completed in 2020. The underground work includes: 525-ft deep x 26-ft diameter Access Shaft; bulkhead to allow for future expansion; 80-ft deep x 26-ft diameter Riser Shaft to connect to existing Intake No. 3 connector tunnel; 33-ft wide x 36-ft high x 400-ft long horseshoe-shaped Forebay Cavern; Forebay Connector Tunnel; and 34 drilled 8-ft diameter x 500-ft deep pump well shafts with steel-lined 6-ft.-diameter casings.The Above-ground Pumping Station and accompanying appurtenances include: 32-each 30 MGD submersible pumps; valves and discharge header piping; surge tank, concrete valve vaults, electrical controls and starting equipment for the pumps; electrical control building; electrical feed from an onsite substation; and 5,550 lf of 144-in. discharge aqueducts for connecting the new pumping station to the existing water treatment plants. Design Engineer: MW/Hill A Joint Venture; Construction Manager: Parsons Corp.
Project Personnel: SNWA: Peter Jauch, Director of Engineering; Erika Moonin, Project Manager; Parsons: Kevin Ulrey, Construction Manager; MW/HILL: Ted Davis and Steve Hunt, Lead Engineers; Barnard: Operations Manager, Dan Schall; Project Manager, Jordan Hoover; Project Superintendent: Andy Granger; Underground Superintendent: Mike Gilbertson; Superintendents, Engineers, and Safety: Tracey Chambers, Tyler Askin, Marc MeieSalgado, Cody Cupp, Nick Bowerman, Alex Casilla, Jeff Porter, Klaus Herbert, Bill Kiehl, Joerg Moser, Jake Richardson, Aaron Rustan, Terry Swindle, Peter Turlington, Dan Heroux, , Soctt Evans, Justin Zandt, John Doerr, Kyle Simmons, Leo Weiman, Mathew Jackson, and Shawn Tezak. The first tunnel (1,225-ft land leg drive), which primarily consisted of hard sandstone, is completely excavated with the 108-in ID Permalok pipe set to line/grade and grouted in place. After retrieval and inspection of the Herrenknecht MTBM from the portal at the valve chamber, it was determined that an extensive rebuild/repair would be required prior to launching the machine for the water leg drive. The cutterhead was removed and all the internal piping was replaced along with extensive hardfacing, rebuilding of the slurry pumps and other unplanned repairs. The machine has been tested on the surface and was lowered back down the 185-ft deep shaft in September and launched for the 950-ft water leg tunnel. The steel cofferdam is set into place in the bottom of the reservoir and secured with tremie concrete. Tremie concrete was also placed over the top of the alignment where there was marginal cover, and the steel cofferdam was constructed with a fiberglass soft eye so that the MTBM will be able to bore into the cofferdam and be retrieved in the wet. Once the MTBM bores into the retrieval cofferdam, the utilities, trailing gear, and air lock will be unhooked and removed from the tunnel through the shaft. After everything is removed from the tunnel, the temporary bulkheads will be reinstalled in the tunnel, and divers from Ballard Marine Construction will dive approximately 160-ft to disconnect the MTBM and connect rigging for it to be lifted and delivered to shore by crane/barge. Once the water leg tunnel is complete and the Permalok pipe is grouted into place, the elbow, bulkhead, and intake structure will be installed at the bottom of the lake. The valve chamber building deep foundation work is completed. This work consisted of installing 110 caissons and tiedowns ranging in size from 9-5/8 in. to 20 in. drilled to depths of over 100 ft; some on a batter. The large diameter hydrostub and piping has been installed on pipe supports to the extent of the building with the remainder being installed as the building walls are constructed. The valve chamber building construction was set to begin in October and continue through the winter months. The valve chamber building is a three-story cast-in-place building with slabs up to 10-ft thick and walls up to 6-ft thick utilizing colored concrete and an aggressive formliner to match the face of the dam. The hood structure is partially lined with stainless steel plates and baffles at the outlet to the creek. The stream restoration is mostly complete, but won’t be finished until access to the valve chamber area (stream side) is no longer necessary. This is due to the overlapping footprint of both operations. The formed RCC steps and the RCC berm armoring has been completed and the majority of the utility armoring is also complete. The RCC berm is being topped with soil and will be stabilized until final restoration is done is 2020. Concrete and gravel roads will also be completed this year along the RCC berm. Preparation for the installation of 15 walers and 33 tiebacks at the o-pile wing walls in the valve chamber area is underway and the tieback work will be completed this year followed by the textured concrete encasement. Following the completion of the tunneling work, the shaft will be concrete lined and sluice gates installed. Additionally, once the marine equipment used in the MTBM retrieval is demobilized, the east overlook construction will begin and once finished serve as a visitor center for the dam. Project Personnel – DEP AM, Emory Chase; Project Designer (Gannett Fleming/Hazen Sawyer), Everette Knight; Tunnel Designer (COWI/Jenny Engineering), Leszek Glodkowski; Resident Engineer (AECOM), Julio Diamante; SRJV Project Manager, John Arciszewski; Field Operations Manager, Chris Davis; Project Engineers, Tim Bray, Joe Janke, Ammar Fallaha, Steve Cross and Christy Ellis; Structural Superintendent: Douglass Somers; Tunnel & Site Superintendent, Glenn Marek; Safety Managers: Jose Perdomo, Jerrod Hubbell. This $13.5 million project for the Northeast Ohio Regional Sewer District includes 3,137 lf of 72-in. diameter sewer via trenchless methods (2,007 lf by conventional two-pass methods, 1,130 lf by microtunneling). Also included is 1,475 lf of 48-in. sewer by open-cut methods, three flow control structures, eight manholes, one cast-in-place manhole and modification of one regulator structure. Ground conditions vary from shale bedrock to clay till, sandy clay and some sand seams with water. As of September, the project just mobilized with sites being set up and the microtunneling launch shaft started. Super Excavators is the microtunneling subcontractor. Project Personnel: NEORSD Construction Manager: Jim Jones; NEORSD Construction Supervisor: Anthony Vitale; Tunnel Designer: AECOM: Dave Mast, P.E. ; Triad – Project Manager: Philip Kassouf; Project Superintendent: Rick Chipka Jr.; Tunnel Superintendent/Engineer: Brad Kassouf. Assistant Project Engineer: Art Hanus. This $69 million project for the Northeast Ohio Regional Sewer District comprises 14,000 lf of 60- to 84-in. tunnel, eight access shafts, 6,800 lf of 12- to 54-in. diameter consolidation and relief sewers, three detention basins, 12,000 ft of 12- to 54-in. storm sewers, regulator improvements, and junction chambers. All tunnels are completed and lined. Junction chambers and connecting structures are underway. Final completion is expected by August 2019. Project Personnel – NEORSD Construction Manager: Jim Jones; NEORSD Construction Supervisor: Scott Keith; Tunnel Designer: DLZ: Tom Hessler; JV Manager: Cliff Kassouf; Assistant JV Manager: John Teahen; Project Manager: Phil Kassouf; Equipment Manager: Rick Chipka; Tunnel Superintendent: James Lowery. Triad/McNally JV is building 10,700 lf of tunnel between 7 and 9.5-ft bored diameter for the Northeast Ohio Regional Sewer District. Also included in the $39.6 million project are six shafts, eight diversion structures, junctions and manholes, modifications to six regulators, and 870 lf of sewers by open-cut. Mobilization was to begin the week of Sept. 17. Crews are using two refurbished Lovsuns TBMs – an M 112 and RM 83. NTP was issued July 31, 2018, with substantial completion within 730 calendar days and final completion within 850 calendar days. Project Personnel: NEORSD Construction Manager: Robert Auber; NEORSD Construction Supervisor: Matthew Waite; Tunnel Designer: Rory Ball, Mott MacDonald; JV Manager: Cliff Kassouf; Assistant JV Manager: John Teahen; Project Manager: Philip Kassouf, P.E. ; Tunnel Superintendent: James Lowery; Project Engineers: Matthew Bennett, Brad Kassouf. Support of excavation for all shafts is slurry walls in soil and wire mesh/rock bolts/shotcrete in rock. Excavation of all shafts will be done with an excavator with bucket and vibrating ripper attachment. The project also includes underground gate structures and gate control structures at both WST-2 and WST-3; 50 lf of 5-ft ID adit; 90 lf of 46-in. sewer, and miscellaneous modifications to existing sewers. The project is approximately 10% complete. Recent activities include: site preparations at site WST-3; Installation of support of excavation for the soil portion of shaft WST-3 (eight approximately 145-ft deep unreinforced slurry wall panels requiring approximately 4,300 cu yd of concrete; and Site preparations at site WST-1. NTP was issued May 7, 2018, with final completion estimated by May 31, 2021. Major Subcontractors: DiGioia-Suburban Excavating (open cut and misc. site work); Nicholson Construction Company (Shaft SOE); Marra Services Inc. (shaft excavation at two sites); Northstar Contracting Inc. (concrete structures); TBM Manufacturer: Lovsuns. Project Personnel: Deputy Director of Engineering and Construction (NEORSD): Doug Gabriel; Large Tunnel Construction Manager (NEORSD): Robert Auber; Senior Construction Supervisor (NEORSD): Ryan Sullivan; Project Sponsor (Jay Dee Obayashi JV): Tim Backers; Deputy Project Manager (Jay Dee Obayashi JV): Nate Long; Project Engineer (Jay Dee Obayashi JV): Lisa Smiley; General Superintendent (Jay Dee Obayashi JV): Jerry Pordon. Blacklick Constructors is building the 10-ft ID Blacklick Creek Sanitary Interceptor Sewer for the City of Columbus. The $108.9 million project includes a tunnel approximately 23,000 ft in length with 40 to 140 ft of cover. The segmentally lined tunnel is being excavated using a Herrenknecht EPBM. A short section of the alignment was constructed by open-cut prior to the launch of the machine. The tunnel is lined using a 4-ft long, bolted and gasketed precast concrete tunnel liner. The project includes 12 shafts, hydraulic drop structures, a passive odor control vault and appurtenances. As of late September, tunneling was 99% complete with approximately 230 lf of rock excavation left before holing through into the receiving shaft ahead of schedule. All the intermediate shafts have been completed and the final concrete structures are being built in completed tunnel sections. The TBM encountered rapidly varying glacial and alluvial materials, tills, boulders, sand, fill and shale; as well as a likely hydraulic conductivity up to 10-2 in soft ground portions of the alignment. Tunnel Designers: EMHT, Aldea Services, AECOM; Construction Manager: Black & Veatch; TBM Manufacturer: Herrenknecht. Project Personnel: Ed Whitman, Project Manager; Ron Klinghagen, General Superintendent; Amanda Kerr, Project Engineer; Peter DeKrom, Survey Manager; Superintendents, Engineers, and Safety: Joel Sostre, Mike Stucky, Max Ross, Nick Farrington. The Toledo Waterways Initiative (TWI) program encompasses more than 45 separate projects over the course of 18 years, at a total estimated cost of $527 million. As part of Phase II of the project, Turn-Key Tunneling has constructed a 725-ft long rib-and-board tunnel utilizing a hydraulically driven tunnel shield. The 12-ft diameter tunnel served as the initial pass for the two-pass tunnel system and act as the final host for the 110-in. sanitary sewer. Turn-Key Tunnel also constructed a 32-ft diameter shaft for a future junction chamber which served as the reception shaft for the shield removal. The tunnel was installed in lean clay with several boulders located throughout the heading. The tunnel was completed in mid-September with final liner pipe to be completed in early October. This project for the Pennsylvania Department of Transportation features a 12-ft foot diameter tunnel installation, required to be installed with a hydraulic tunnel shield, to be performed by Turn-Key Tunneling. The project consists of a 140-lf drive of 144-in. tunnel beneath an active CSX railroad track. Anticipated grounds conditions include sand and gravel with ground stabilization required before the tunneling process can begin. The tunnel is scheduled to begin in late October with an open passage before the end of the year. This $33.415 million project for Renewable Water Resources (RE-WA) comprises 6,000 lf of 130-in. ID rock tunnel with 84-in. Hobas carrier pipe grouted in place. The tunnel depth ranges from 40 to 130 ft below ground surface. There is a 40-ft ID by 40-ft deep launch shaft and 30-ft ID by 130-ft deep receiving shaft. The tunnel is to be mined in intact Gneiss bedrock using a double shielded rock gripper TBM manufactured by Lovsuns Canada. Shaft construction will consist of liner plate and rock dowels with wire mesh. 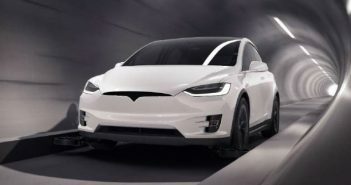 The project also includes 1,600 lf of 60 in. and 42-in. upstream and downstream connecting sewer as well as several junction chambers, screening/diversions structures along with Odor Control facilities. The Drop Shaft is completed and the Access Shaft near the Cleveland Park Zoo will be completed by the end of October. Tunnel Designer /Construction Manager – Black & Veatch; TBM Manufacturer – Lovsuns Canada; Concrete Structures – Chardon Concrete; Cellular Grout –Pacific International Grout; Carrier Pipe – Hobas Pipe. Project Personnel: Justin Kolster – Senior Project Manager, Super Excavators/CMCRA JV; Rudy Marognoli – Project Manager, CMCRA; Greg Rehak – Vice President, Super Excavators; Stephen O’Connell – Construction Manager, Black & Veatch; Jason Gillespie – Senior Project Manager, Renewable Water Resources. This $206.7 million project for the City of Dallas comprises 26,385 lf of 32-ft, 6-in. excavated diameter tunnel (30-ft ID) and 7 shafts (ranging from 120-VF to 200-VF). Mining will be primarily through Austin chalk using a Main-Beam TBM along with roadheader. As of late September, the project was 11% completed by duration with excavation of launching/entry shaft progressing (70 vf of 120 vf completed). Crews will install a 15-in. thick cast-in-place liner. There are six working sites within the city environment, and tunneling will occur under city infrastructure. Owner: City of Dallas; Lead Designer: HALFF; Tunnel Designer: COWI; CM: Black and Veatch; TBM Manufacturer: Robbins; Subcontractor: Oscar Renda Constructing, Inc.
Project Personnel: SMJV Operations Manager: Kent Vest; SMJV Senior Project Manager: Travis Hartman; SMJV Project Manager: Quang D. Tran, P.E. ; SMJV Deputy Project Manager: Nick Jencopale; SMJV QC Manager: Matt Jackson.